Saving money is need today because Penny Saved Is Penny Earned. In 2013 Energy, food and fuel prices was the top issues of common man. In 2014 situation is likely to remain same. Instead of worrying about inflation we should start making our efforts in saving more money. Avoid impulsive buying to save on your shopping bill. Know your need and buy in bulk with store. Always look for discount offer, sale or coupon while making purchase. Cut cost of utility bill by adopting energy saving appliance and lighting fixtures. Maximize air flow and lighting arrangement in your house to save electricity bill. Pay your bill online to save fuel cost and time. Avoid unnecessary travel and use of vehicle. Try to Increase fuel efficiency of your vehicle. To save on water bill try to reuse water or use rainwater. Make effort to dry clean clothes at home. Start saving automatically by deducting some money from account directly and depositing on other account. Make your own gift instead of buying from store. Invite friends and relatives at home for party instead of going out. Take good care of your health to save on medical expense. Give up bad habit like cigarettes, alcohol etc. Avoid excessive usage of credit card. Check for reliability and fuel efficiency while buying new vehicle. If possible go for carpool to save money. 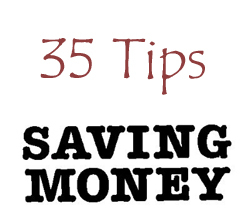 Hope this money saving tips will help you to save more money in 2014! « How Coupon Can Cut Down Your Shopping Bill? Really impressive article. I believe this text terribly useful on behalf of me and others. I allays keep it in your web site in my search list. Thanks for your blogging.